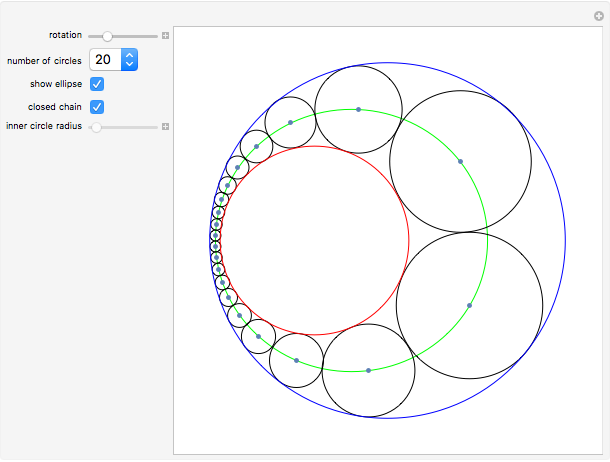 Given two fixed nonintersecting circles (shown here in red and blue), a Steiner chain is a sequence of circles, each tangent to the two given circles and each tangent to their neighboring circles in the sequence. When the chain is closed, the first and last circles in the chain are also tangent to each other. If a closed chain can be found for a given pair of circles, then infinitely many such chains can be found—use the rotation slider. 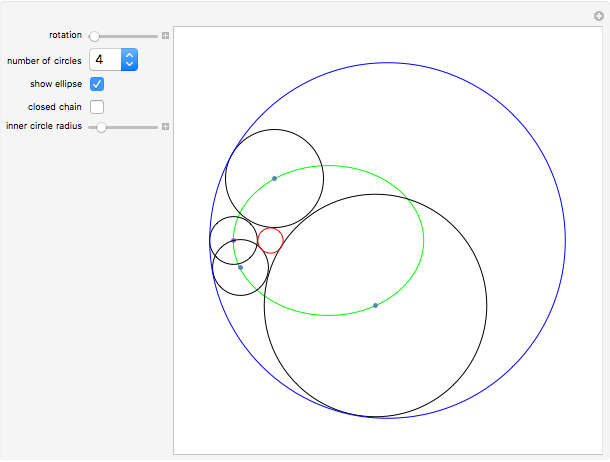 Also, regardless of whether the chain is open or closed, the centers of circles of the chain lie on an ellipse, shown in green. 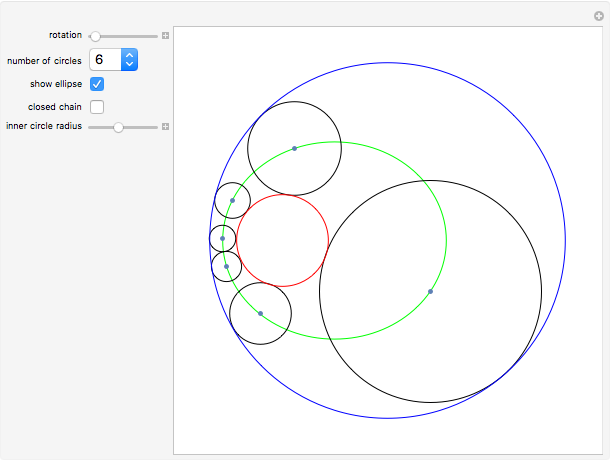 By manipulating the "rotation" slider, you can see different Steiner chains for the given red and blue circles, demonstrating Steiner's porism, which states that infinitely many such chains exist. By deselecting the "closed chain" checkbox, you can then adjust the radius of the red circle and create open chains. You can try to find the appropriately sized inner circle to create a closed chain for practice. When the inner circle radius is 0, the inner circle becomes a point and the Steiner chain becomes a closed chain of two circles. Gregory Hartman "Steiner Chain of Circles"